Dramatically reduces noise and vibration. The Excalibur Crossbow Sound Deadening System is a 4-piece kit that's designed to eliminate noise and shock throughout the string, stirrup, and limbs of your crossbow. 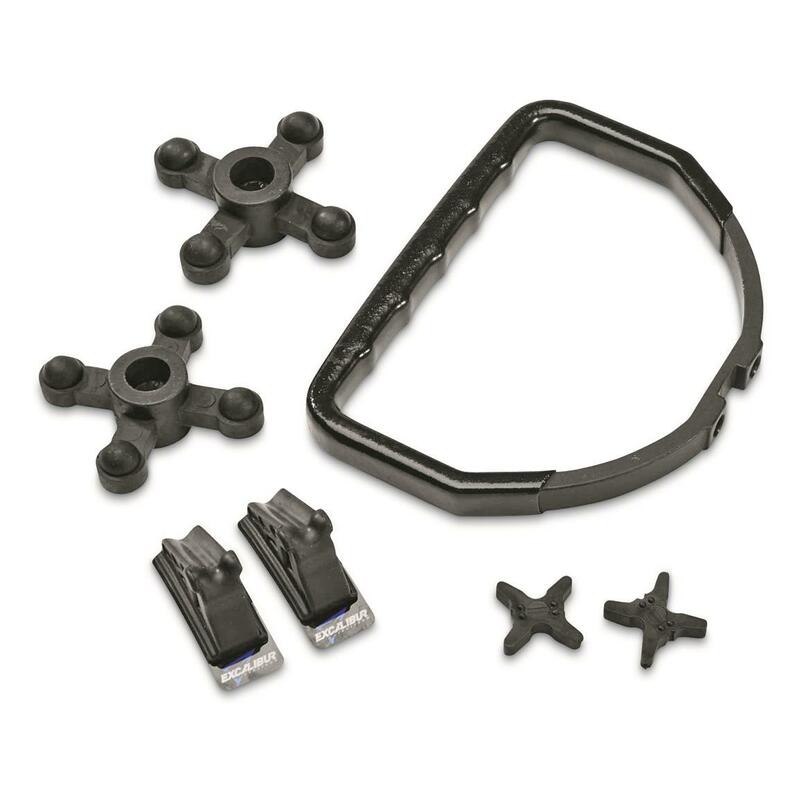 Package includes an over-molded rubberized stirrup, Ex-Shox, String Stars, and R.A.V.S. silencers.